We are excited to announce that Karhu footwear will be making a landing in our Vacaville location in June 2017! 1. I’ve never heard of Karhu before. Is it a new brand? On the contrary, Karhu has been around since 1916 on the feet of some of Finland’s most legendary runners. Karhu shoes have won Olympic medals and Boston Marathons and everything in between. Our fulcrum technology was created in 1987, and since then it has been tested and perfected at both the University of Jyväskylä in Finland and at Iowa State University in the US. 2. What makes Karhu different from other running shoes? The Karhu difference is all about the fulcrum technology. Simply put, the fulcrum helps you move forward more efficiently. Independent research shows that runners bounce up and down half an inch less per step in Karhu than in other running shoes. Think of it like climbing stairs: runners climb fewer stories across every distance with the efficiency of Karhu Fulcrum Technology. 3. How do you know the fulcrum works? Extensive independent testing has been done at both the University of Jyväskylä in Finland and Iowa State University in the US. All the test results have shown that Karhu shoes produce less vertical and horizontal oscillation—or “bounce”—and a better midfoot landing position than both traditional running shoes and barefoot running. 4. I notice that the shoes feel a lot different from other shoes when I put them on. Does that mean they won’t work for me? Not at all. What you’re feeling is the fulcrum technology that helps position your body in a proper forward leaning position. When you start running, you will notice that the fulcrum technology helps you move forward more quickly through the gait cycle, and that’s what’s important. 5. I’ve been hearing a lot about barefoot running. Is Karhu similar to those minimalist shoes? There are a few similarities but also some important distinctions. Both Karhu and barefoot running reduce bounce when compared to traditional running shoes; however, Karhu reduces this excess movement by 13% as opposed to only 8% barefoot. Karhu also positions you with a better midfoot landing position and forward lean than barefoot running, while the fulcrum helps you transition more quickly through the gait cycle. Our shoes deliver more efficiency than barefoot running, but with less strain on your lower legs and calf muscles that can sometimes lead to injury. 6. 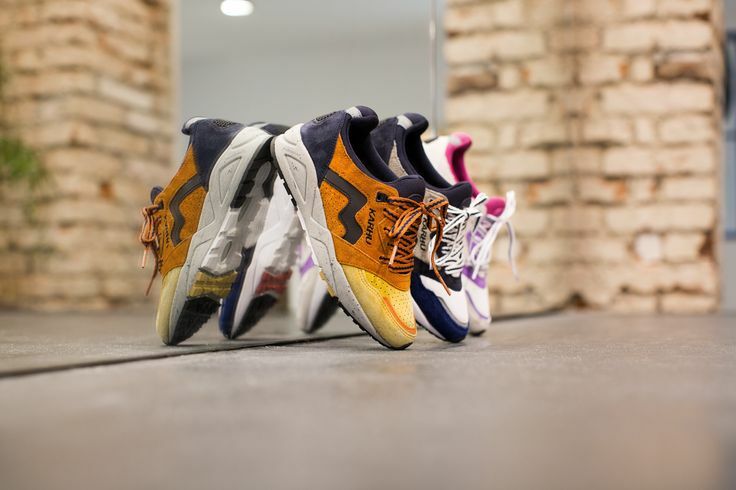 Does Karhu offer different types of shoes for different types of feet? Like most brands, Karhu offers both neutral and stability options. Thanks to our fulcrum technology and simple, clean upper design, we’re able to offer comparable support and stability while being lighter weight than the competition. Also, here’s a sneaky shortcut: all our neutral shoes start with “F” (Flow, Fluid, Forward, Fast) and all our stability shoes start with “S” (Steady, Stable, Strong). 7. What does running more efficiently actually mean? Faster, farther, easier. Running more efficiently means you’ve got more gas in your tank. You can use that gas to run faster, to run farther, or to run easier and save a little for later. It’s up to you!